New Delhi: In an effort to fuel the growth of India’s entrepreneurial and small business community, Invest India through its flagship initiative Startup India has partnered with WhatsApp on a program that focuses on the proliferation of start-ups, promoting economic growth and generating employment opportunities in India. Dedicated to driving success and enhancing grassroots innovation, WhatsApp will invest quarter of a million dollars as seed funding to the top 5 winners of the ‘WhatsApp StartUp Challenge’ and an additional 250,000 dollar will be directed to a select few from the entrepreneurial community to promote their WhatsApp business number on Facebook and drive discovery of their businesses. This way customers will be able to find the business and start talking to them on that WhatsApp number. That shows one should get inspiration from whatsapp. All the startups must understand do not scratch your head to much. 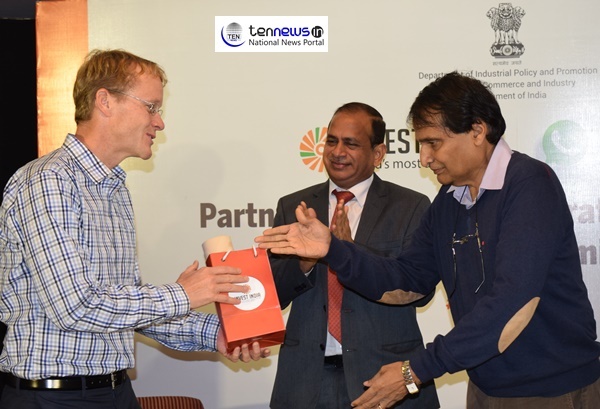 You have to be patient,” Said Suresh Prabhu, Minister of Commerce and Industry.